Ascension is not a destination. Awaken in this moment to the vast divine nature of your eternal Self. Gift yourself with a breath of restoration that is yours to claim…right now! As you lovingly exhale, remember that the energies that are conspiring to keep you “stuck” or feeling “less than” are merely the illusion playing its role perfectly. What is the role of the illusion? To create the life experiences that will trigger your awakening! Yes…your awakening IS a trigger event! Often it is reported by spiritual seekers that when they stopped searching, they discovered what they were seeking. And…it was waiting patiently inside of them. The answers are indeed within. This divine fact is discovered when awareness opens the doorway and clears the blocks so that we are able to recognize the truth. To gain this awareness, some people need to explore many teachings as they gather life experience while also seeking trainings to cultivate spiritual wisdom. We learn through contrast and this assists us recognize the inner truth. This experience comes with its own paradox within the paradox, for if we train too much, then the spiritualized ego becomes stronger and will filter the inner guidance to supplement its’ sense of specialness, thereby inhibiting the ability to anchor into the embodiment of Ascension Consciousness. Ultimately, we embark on an authentic spiritual journey when we relax the need to educate the ego and completely trust the inner wisdom and guidance of the Soul, (Higher Self). With each step along the way we are climbing a ladder of spiritual discernment and this will continually bring us to yet another paradox! This arises through the energy of an ego that wants to serve, as the ego’s basic function is one of service to the body of density! The ego is a smart and demanding energy that asks for training and practice. 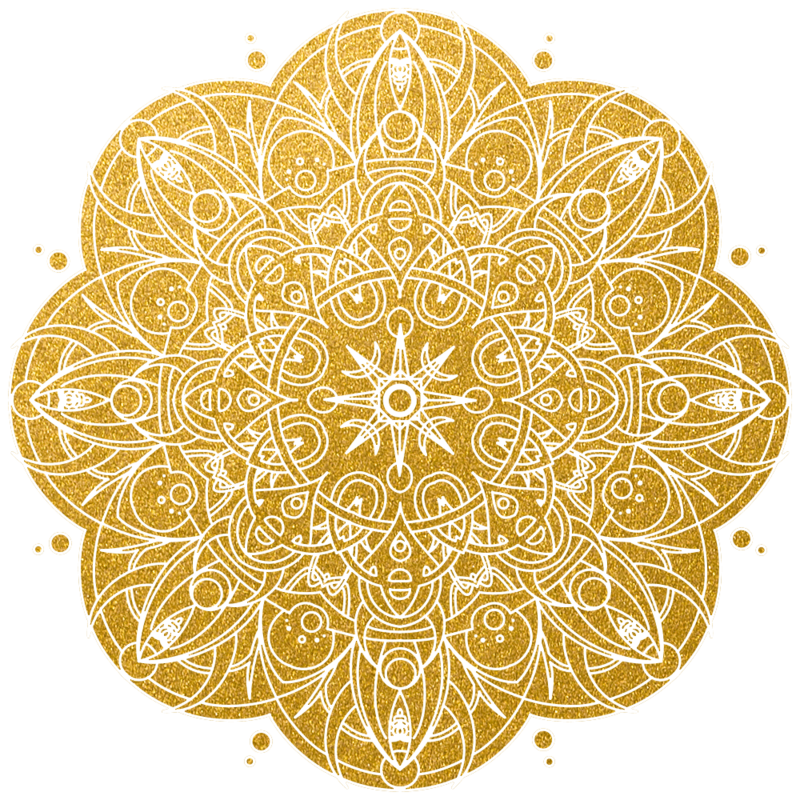 It asks for sensations, experiences and beliefs so that it can do a better job of interfacing with all aspects of life in form. Ultimately, as part of its “service mandate”, the ego seeks to modulate and control nearly all aspects of your life in form! Each soul is here for its journey of evolution and there are souls that take birth into density without the imperative to evolve further. Therefore the density experience is more of a vacation or time out. This expression anchors the understanding of density consciousness by diving fully into it. Through this strong commitment to density, those individuals are offering great service by supporting the clarity of other souls who are here to lift through the density and into the presence of their Self-Ascension. Triggers are a blessing! They are the moments that stimulate choice. When this happens, one can identify with the reactive stance of the emotional ego and thus judgment and argument will ensue. Or one can cultivate a dual consciousness and identify with the Witness thus simultaneously noticing the automatic reaction and claiming ability to dismantle it before further pain ensues. Both choices are valid. It is by cultivating the ascended perspective that we grow through these triggers and discover our ascended mastery. Remember, the ego is always involved; is it driving the experience or will you be able to widen your perspective enough to “put the ego in the car seat”? Putting the ego in the car seat offers us the metaphor that states that we love and include the inner child, however, the child, (ego), does not govern all our choices. To call forward and cultivate freedom it is useful to look carefully at our trigger moments and claim the many insights provided through the automatic programming that runs in our subconscious mind. Acclimating to the deeper awareness allows us to pay attention and easily transform a trigger moment from a downward spiral into a springboard to freedom. During these moments it is of great value to remember that for the most part, the ego is protecting the inner child until ones healing journey is resolved into the stability of Peace, (Shanti), Love, (Bhakti) and Joy, (Ananda). The inner child’s universal wound of “there is something wrong with me”is often stimulated when things go differently than we would enjoy. It is painful to both witness and experience the self-judgment or the belief that “there is something wrong with me”. When this energy arises the ego defends us by projecting the energy outward as “there is something wrong with you”. Victim Triangle. Once engaged, victim energy radiates outward inviting others to “play the victim game” with us. Thus, we attract rescuers, (those who sympathize with our plight and try to help us),or we empower our blame and become the persecutor of another person. The ego gathers a sense of control by changing roles in the victim triangle as a way to helps us feel more powerful. The victim game’s three roles, (victim, rescuer, abuser),frequently rotate and often we call forward all three roles inside our mind. With attention, this can be brought to conscious awareness. For example: Have you noticed how your self-talk can change positions on the victim triangle? Living the Yoga of Self-Ascension® and modeling the Art of Ascended Living™ for over 15 years we have been blessed to facilitate 1000’s of students to claim their mastery as they call forward their authenticity. 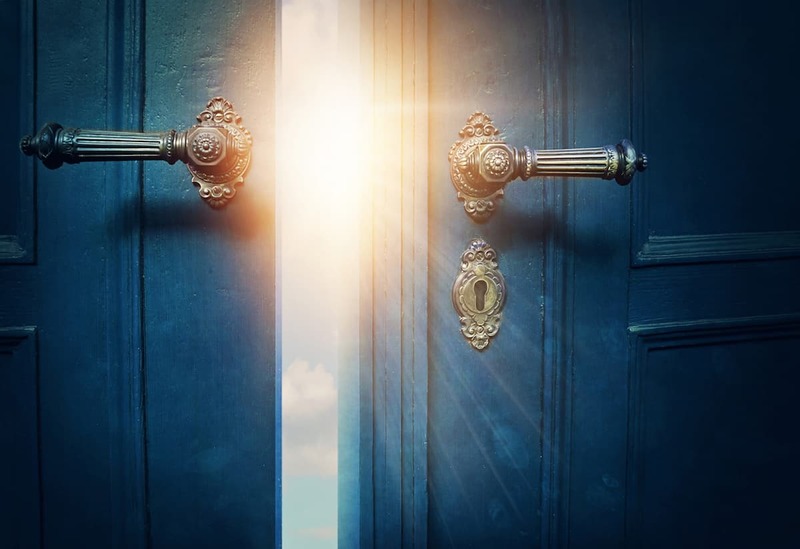 Through our unwavering commitment to honor the pathway, it is not uncommon that during the “lift” cycle there are those who may choose to return to a “density cycle”…as that is often easier for the ego identity. And, this is not a failure, merely a moment to keep learning and healing! Let us share a “real world” example. Recently a volunteer at one of our residential retreats who had claimed that they wanted to be of service to the community, was asked to assist with kitchen duties and removing the garbage. She did as asked with a smile and all was perceptibly “well”. A short while later she confided to a fellow participant that she resented this task. She shared: “I am a Master and Masters do not take out the garbage or work in kitchens”. Her fellow participant agreed that it was a demeaning task and joined with her victim energy as the rescuer. The clear lesson is that by withholding her honesty and not sharing her discomfort at the time the task was offered as a means of her mastery in service, a powerful learning opportunity was missed. Therefore a new cycle begins! It takes courage to move forward and it takes the integrity of spiritual tenacity to release the ego when it is doing its best to keep you stuck in old habits. It, (the ego), will always find a “reason” to justify your reactivity. Let’s look further at this power-filled example. First, the participant that listened to the disgruntled volunteer became a “partner in pain” rather than a facilitator of healing. Their sympathy and agreement anchored the victim cycle. Second, the participant who resented taking out the trash was actually responding to an inner childhood pain about wanting respect from her parents. Instead of gazing deeply at her wound, the ego offered justification of her anger through the judgment “Masters do not take out the garbage”! This response provided the ego with both a sense of specialness and justification for blame and indignation. When shared with another who was also experiencing the victim triangle, the two engaged and validated each other as partners in pain. A victim will always seek and most often, find, another victim. When this type of exchange occurs the ego anchors ever more into a dysfunctional process and personal growth cannot birth through the trigger. The trigger is then a trapdoor to density rather than a springboard to ascended awareness. This ego trap is common and has great support from the world of density. So, What is the solution? While the solution is simple, for many it is not easy. It requires a good dose of self-reflection and the discipline to witness ones ego as it does the density dance! Freedom from the cycle of the victim triangle births as you do what the ego is afraid to do. Trust that the universe is walking with you! There is a depth of healing that arises as you risk looking deeper and discover that beneath any feared vulnerability is a precious little child that simply wants to been seen and loved. Once this authentic truth is seen, the Soul is free to step forward with the energy of love and self healing. How do we fully heal the Victim Triangle? We bring ascended love to ourselves and the willingness to look beneath the surface of our reactivity. Evolution is automatic when the Light of Consciousness is brought to the party! Evolution happens when we incorporate growth and learn new responses to old triggers. The victim triangle is a trap door! Once triggered, we ‘fall into’ a reactive response it is always unpleasant. The spiritual gift is that the moment of discomfort provides us with a call to deeper awareness. The discomfort reminds us to step in and interrupt the dysfunctional cycle. We smile and realize that the pain can become our loving friend who is reminding you that you can handle this differently! You are not the victim and you are not stuck! Over the past 15 years we have witnessed the power of the time honored positive step of bringing a hand to your heart and taking a conscious breath. This action steps helps to interrupt the cycle of reactivity. Focusing and connecting with your breath is a calming gift you can use anytime. 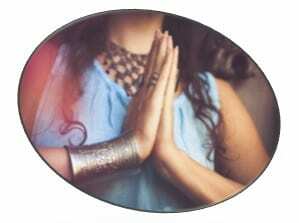 A hand on your heart sends a signal of reassurance to the body of form, which is the home of the ego. “What am I feeling? What am I needing”? Noticing the pain is the first step, however it is incomplete if we do not also take note of the unmet need through honest self-reflection. Most often, the inner child was seeking respect or love or safety. Once we SEE the unmet need we can RESPOND without jumping into the victim triangle. By taking responsibility for our personal inner state we can harness the gift of the triggers to springboard us into greater awareness as we cultivate healthy responses. Through commitment to the journey you will discover that a hand on the heart along with some centering breaths will safely support greater self-awareness. Harnessing this gift, the light of your consciousness will guide you through healthier and healing responses to the trigger event. These mastery responses are an evolution from the victim, rescuer, abuser cycle. You will notice that new responses come forward naturally as you climb the ever-refining spiral of your journey of awakening. Through this healing process, the Victim Triangle is transformed into the Ascended Presence Triangle, (see diagram). The energies that were part of the victim triangle each lift into its ascended experience as a result of the lessons claimed through the density! Life’s triggers are the gifts that offer us moments where our higher wisdom is free to be in loving service to others. We effortlessly step through any perceptions of discomfort as we offer healing energy while claiming the greater ‘ah ha’ teaching moment. A trigger is the quiet call of the universe asking if you are ready to call forward the inner teacher, mentor, healer who lovingly offers needed encouragement and guidance without the need to be “special”. As Archangel Zadkiel so often reminds us: It is always your choice! Your Ascended Spiritual evolution is the natural result of your tenacity and conscious awareness. As you glide through this moment may your heart claim the mastery of your awareness and allow your soul lead the way! Triggers only have the power that the victim gives to them. Now is your moment to Ascend through that trap and claim your mastery. This mastery is the natural result of your spiritual tenacity. Be sure to stay tuned for our final section of the 3-part series being released September 1: THRIVING! Living the Joy of Conscious Ascension! Miracle Team Members – Click Here to read the expansion of this topic in your private area. Ascension Consciousness is the upper portion of the Pyramid of Spiritual Awakening as described in Part one of this article series. It gives us steps- movement forward and transformation. 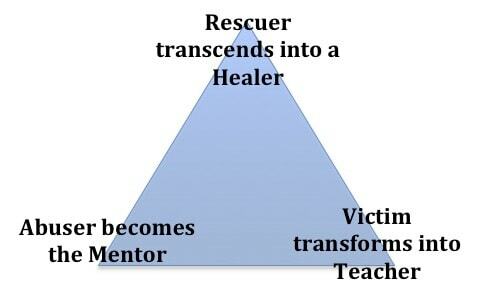 It is a clear powerful image of healing through the victim triangle. Sometimes I am stuck in the emotion and forget that there is deeper information to be gained by looking within. and moving through……….this Ascended Presence Triangle is perfect. OMG! I needed this loving kick in the pants! My sister committed suicide on Wednesday. The funeral is Monday. The temptation to drop into the victim triangle has been dangling around me for days with my mom and brother acting as the abusers. The reminder to turn them into mentors is brilliant. There is much to learn. Thanks for the reminder to be tenacious. The sly pirate the ego is so very tricky and subtle. Thank you for sharing during this very tender moment for you and your family. We honor your spiritual tenacity and use of the tools of Self-Ascension as the foundation that will see you through. Feel our love and support as we offer you an embrace of divine reassurance. Our hearts are with you during this time of accelerated energy. I wanted to follow up and express my gratitude for the support. I was able to attend my sister’s funeral pretty stably as the witnesser witnessing. I could see much more clearly and broadly. Then I listened to Sunday’s radio show and the callers, of course, supported my experience. These miracles are a delight. I love the way we lift one another.